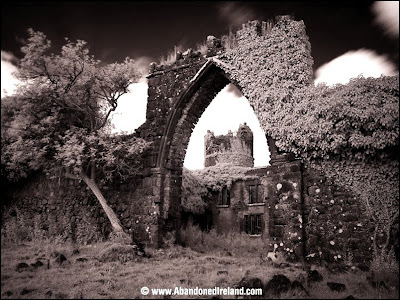 One of my most visited sites is Abandoned Ireland. It started as a personal project in June 2008 by Tarquin Blake. 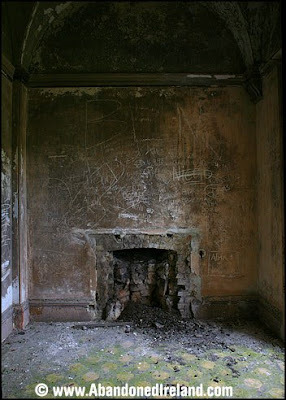 Blake, a software engineer and photographer based in Cork, wanted to document and record buildings that have been left to rot and fall into disrepair. They are an important part of our Irish heritage, have some historical, architectural or social importance and yet have been forgotten and neglected. The site features circa 100 properties: homes, religious institutes, country manors and historical buildings. Blake even managed to gain access to Boland's Mill, an old flour mill building in the inner-city Grand Canal Dock area of Dublin. Boland's was one of the key locations in the 1916 Easter Rising (a defining moment in the struggle for Irish independence) and access is prohibited. 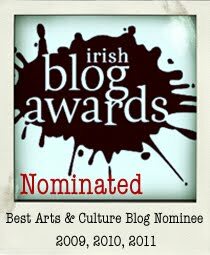 Out of all the places featured, my favourite is Woodlawn House in Co Galway. 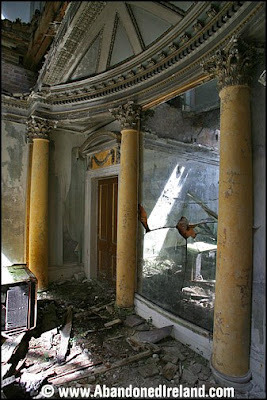 Woodlawn house: 30,000 Square foot of rapidly deteriorating architectural beauty and standing on 115 acres of land. Featuring 26 bedrooms, a walled garden, courtyard, gatehouse, gardeners house and a lake. The second Baron Ashtown, Frederick Mason Trench married twice, first on 29 August 1831 to Harriet Georgiana Cosby, and secondly on 10th February 1852 to Elizabeth Oliver Gascoigne. Lord and Lady Ashtown lived much of the year at Castle Oliver, Co. Limerick, Ireland. Frederick Mason Trench died at Castle Oliver, but is buried in the Trench family mausoleum near Woodlawn. Woodlawn railway station, built by the second Baron Ashtown, was opened on 1st August 1858, situated on the Intercity line from Galway to Dublin, this railway station was closed for goods traffic on 2 June 1978. The original station building, an imposing structure is still in existence in front of the modern station building. 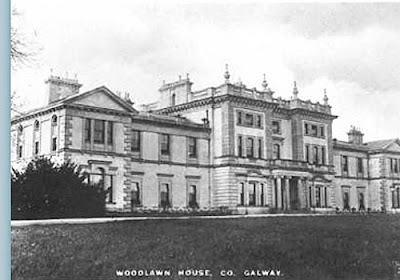 The second Baron Ashtown had Woodlawn house enlarged in the 1860s by a J.F.Kempster of Ballinasloe. The house was sold to the Le Poer Trenches around 1950 when the then Lord of Ashtown went bankrupt. 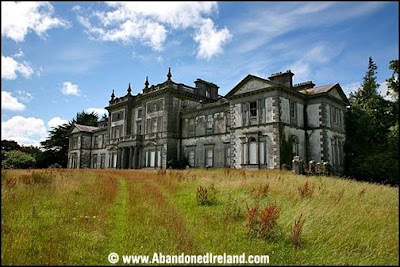 The house was again sold in 1978 after Derek Le Poer Trench shot himself, in the Arboretum at Lough Cutra Castle." In an interview with The Sunday Tribune, Blake mentioned "I got an email from a woman in the States". 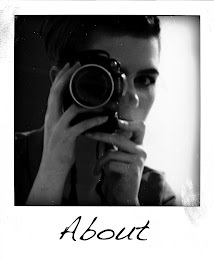 Her grandfather was a servant at Woodlawn House in the '20s – one of the groundsmen. He used to work in the greenhouses. And she was saying that it was a rough time. Pretty grim. Being a servant, having to work long, hard hours." Her grandfather was moved to scratch his own graffiti into a greenhouse windowpane: "Gone to America". Such a shame to see these magnificent buildings going to ruin.